Enter your email address below to receive a notification when The Feisty Filly starts accepting new sign-ups! Enter your email address below to receive a notification when The Feisty Filly is accepting new sign-ups again. Your box will ship on or near the 5th of each month. You will be charged for the first box when you initially sign up. All orders placed in the current month will be shipped next months box. Each month there after will be charged on the 15th of each month. Each month we will send you products based on the subscription of choice based on Western, English, Miniature horse or Trail riders. All boxes are filled with products from name brand, recent niche, and even home made items. 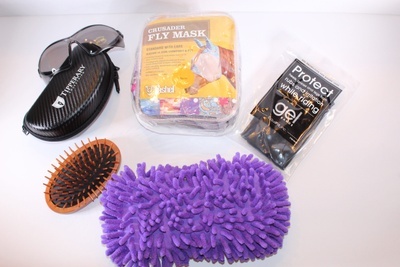 You'll receive gourmet treats, grooming products, tack, supplements, accessories, items for the riders, and much more. I was very excited to get my Feisty Filly Box... it did not disappoint! It is very clear this box is created FOR horse people BY horse people. 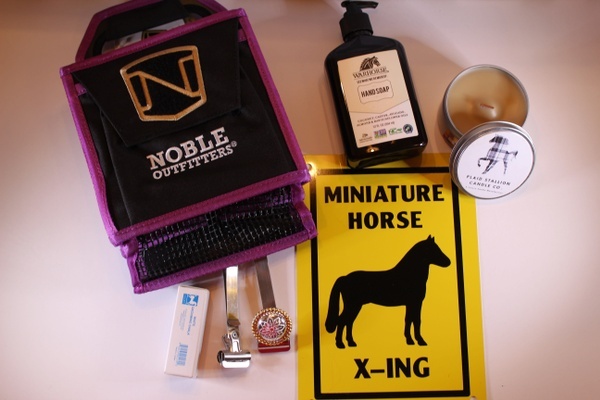 The box was filled with goodies that any equestrian at any level could use. 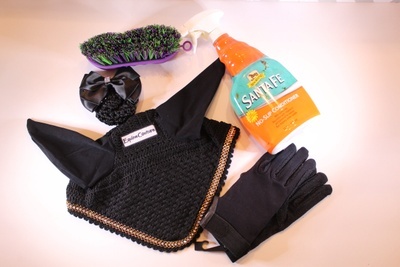 I loved the mix ... a few items that always seem to disappear around the barn (like treats) and a few items you can never have enough of (grooming tools and extra halters etc). This box would be a great subscription for any equestrian, and would also make a wonderful gift! !